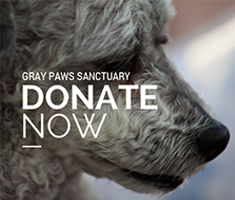 « Local Teen Supports Gray Paws Sanctuary!! Gray Paws Sanctuary accepted a new resident on Saturday, January 31, 2015. Her name is Missy and she is 14 years young! Isn’t she gorgeous! ?